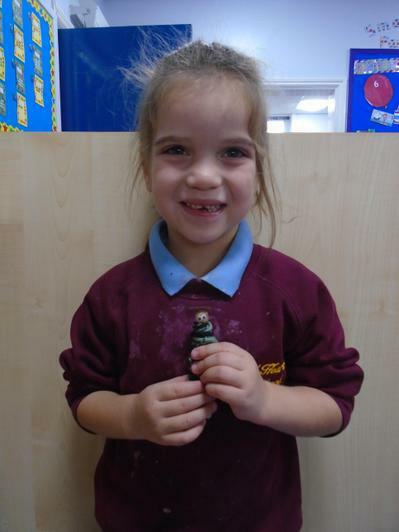 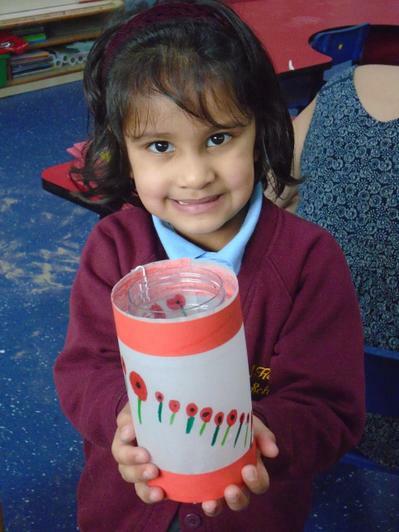 We took part in a number of activities to help us learn about Remembrance Day and the importance of the poppy. 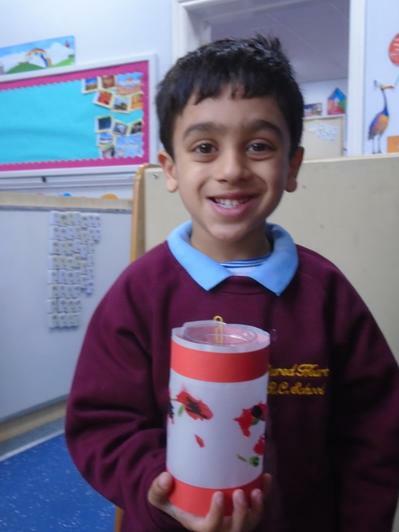 We made poppy lanterns using greaseproof paper. 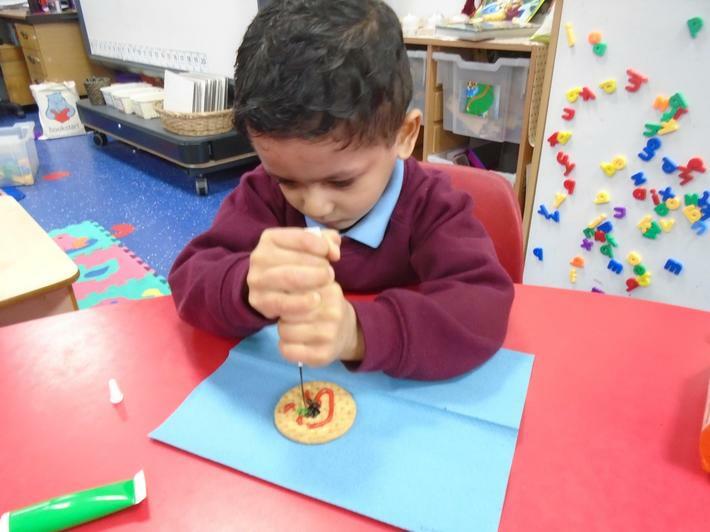 We used felt tips to draw our poppies and then added red strips of card to the top and bottom. 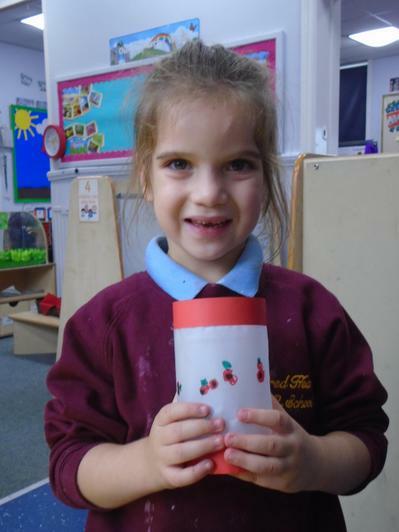 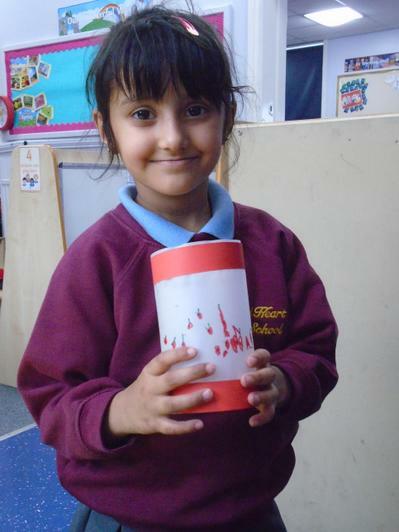 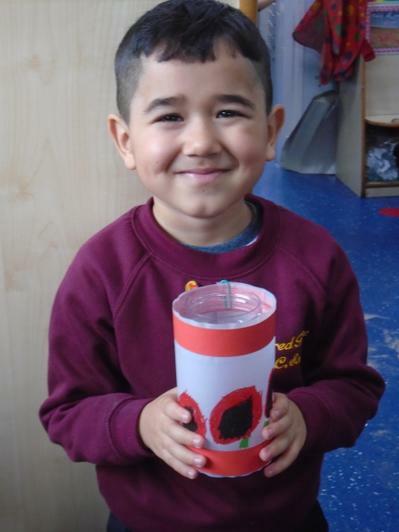 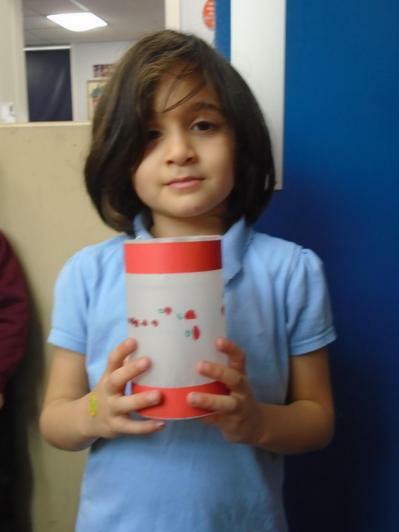 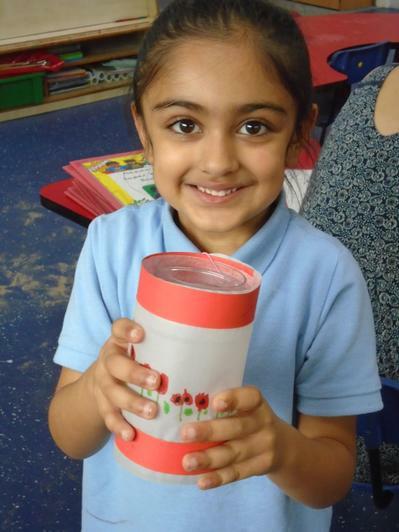 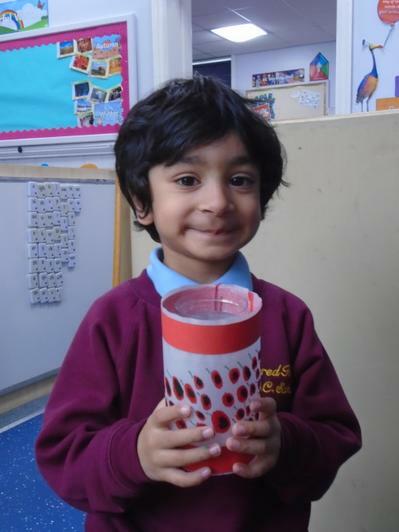 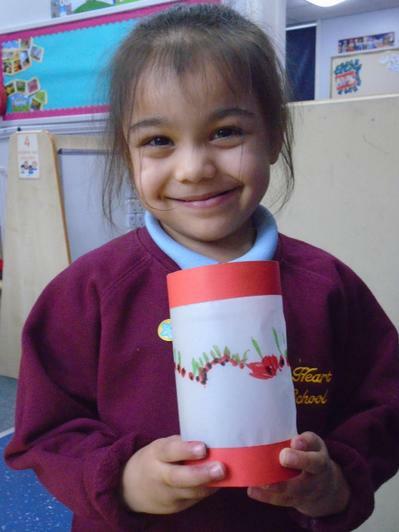 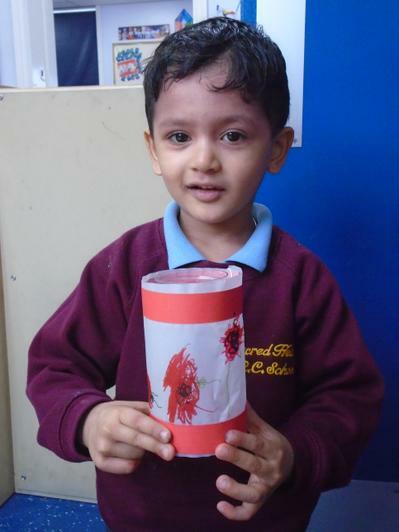 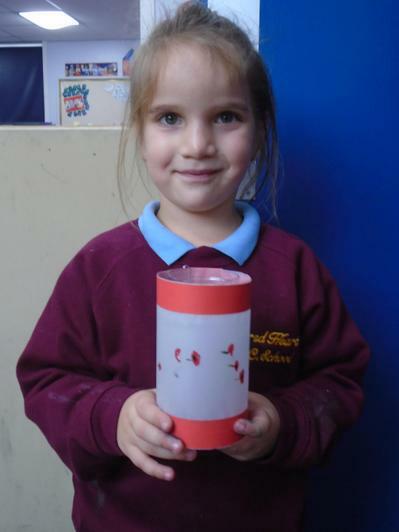 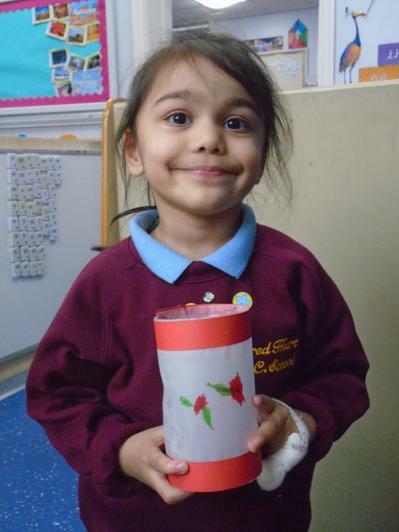 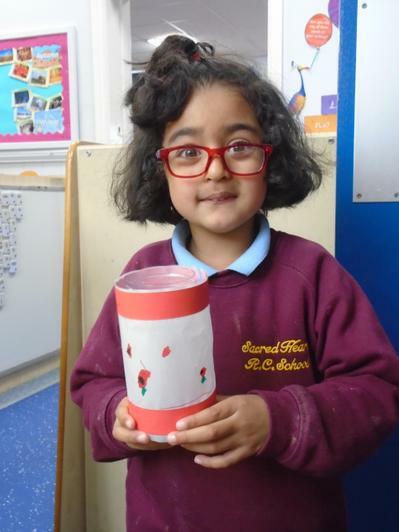 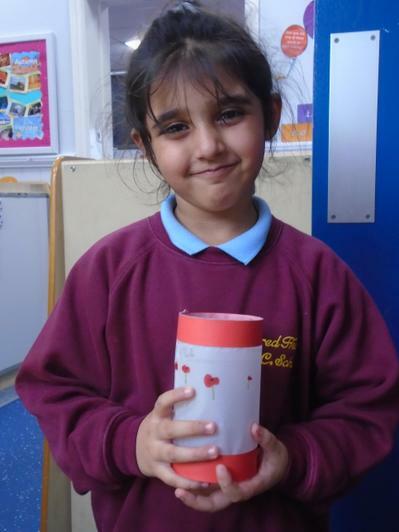 We then stuck our poppy strip onto a plastic jam jar and placed a flameless candle inside. 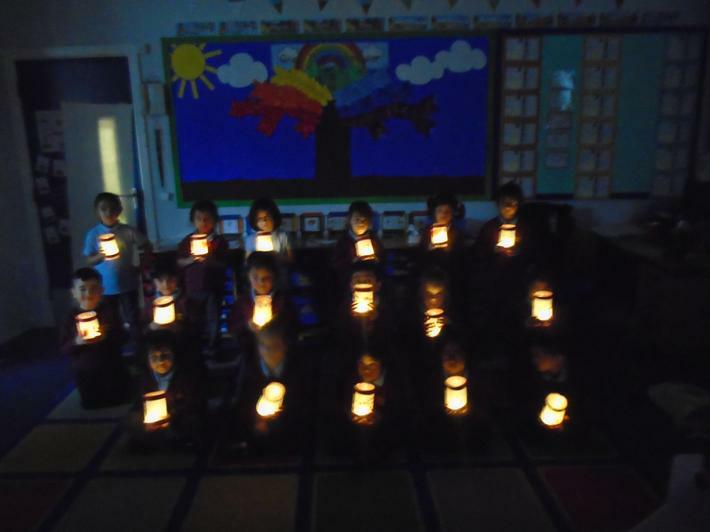 Once we had completed them we turned the lights off and had a minutes silence where we thought about those who fought to keep us safe. 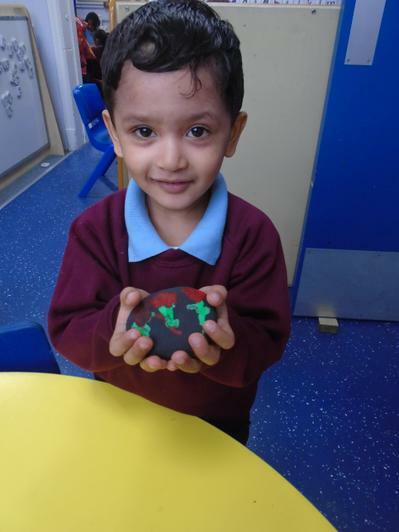 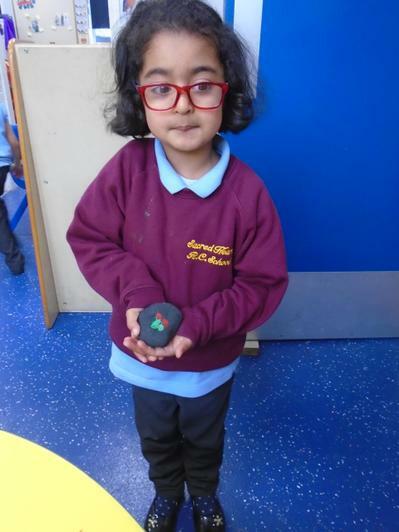 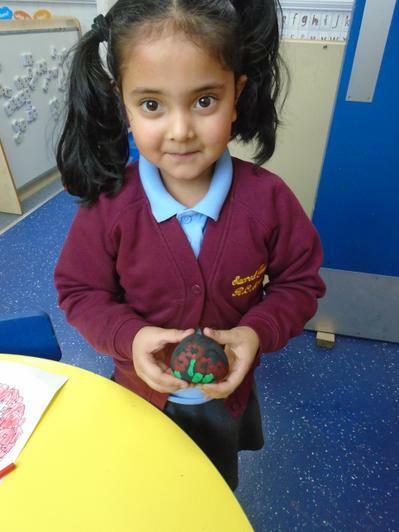 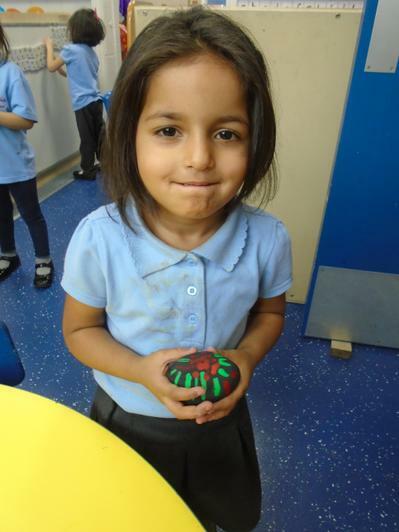 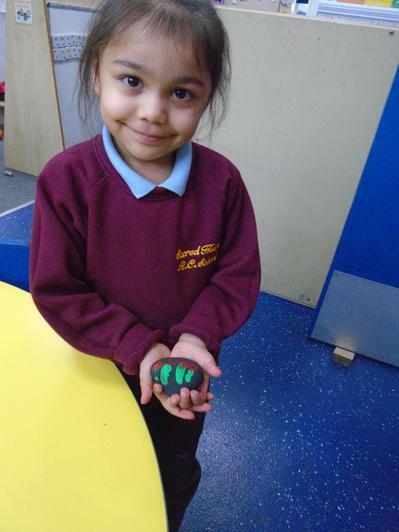 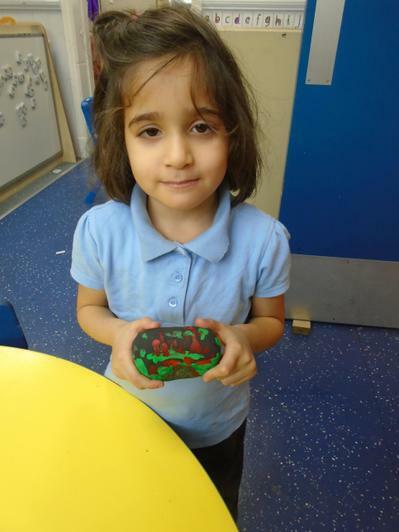 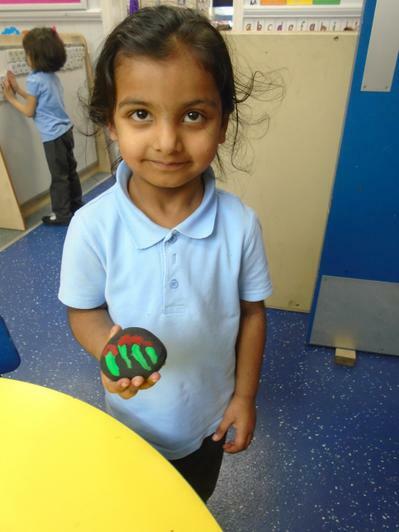 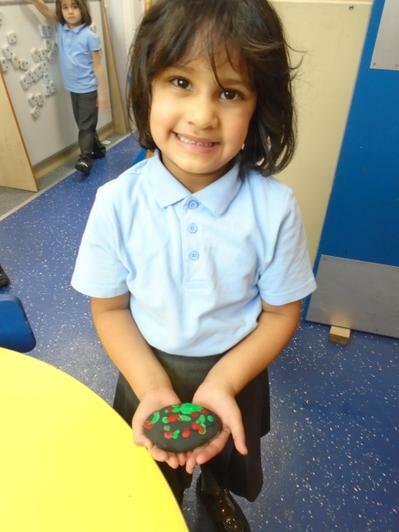 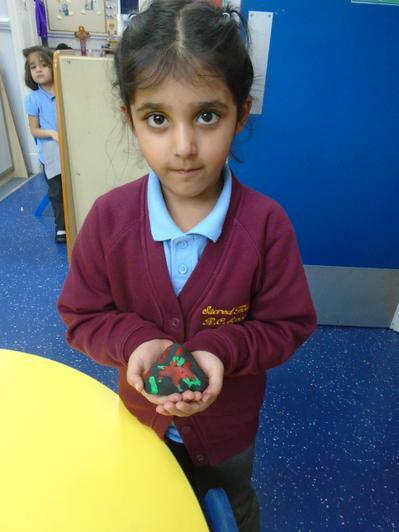 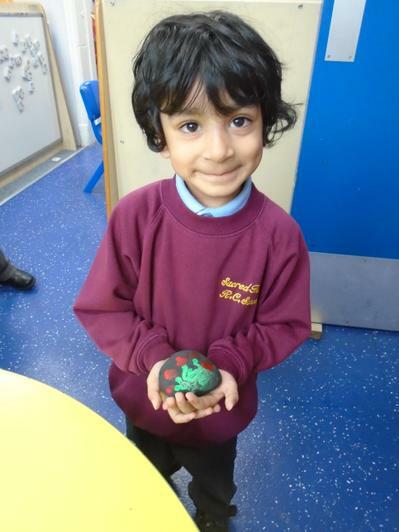 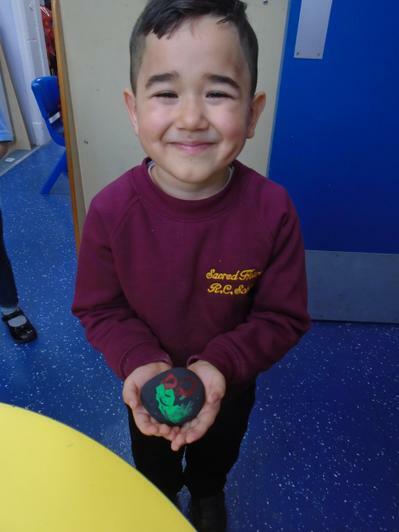 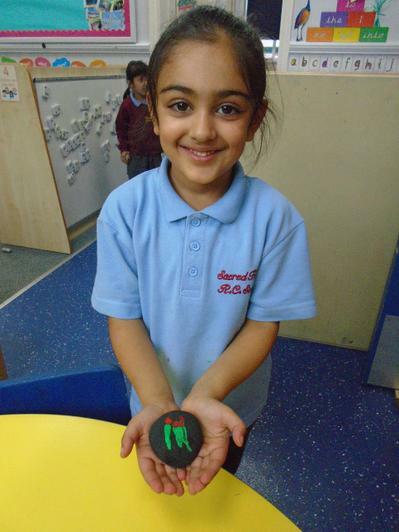 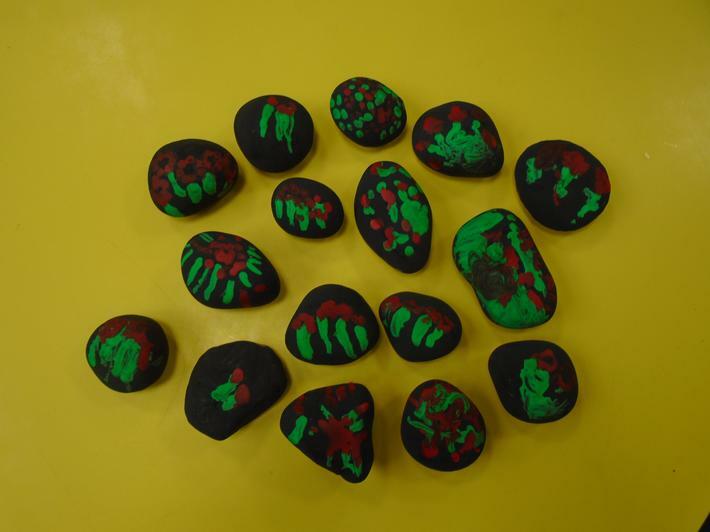 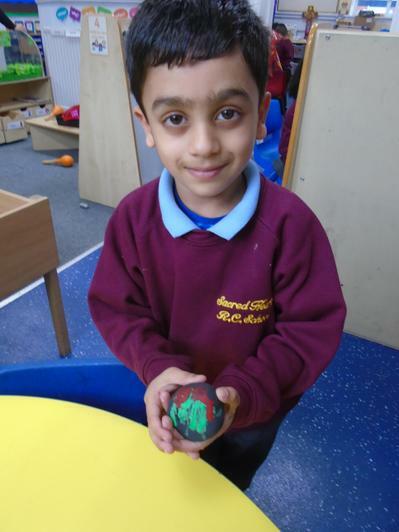 We painted our pebbles with black paint and then painted poppies on using green and red paint. 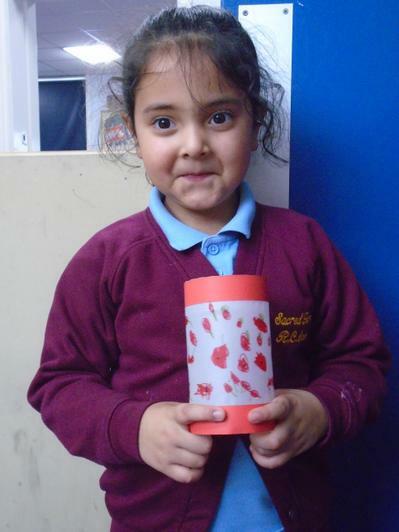 We then took them home so that we could hide them in our community. 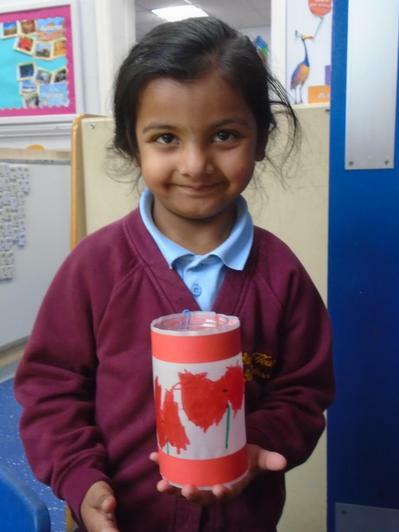 We hid them so that when people find them they will be reminded of those who died in World War 1. 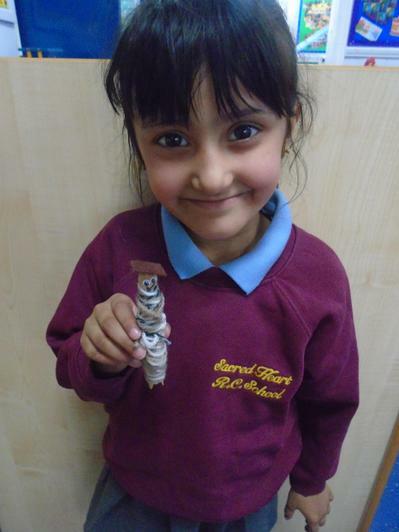 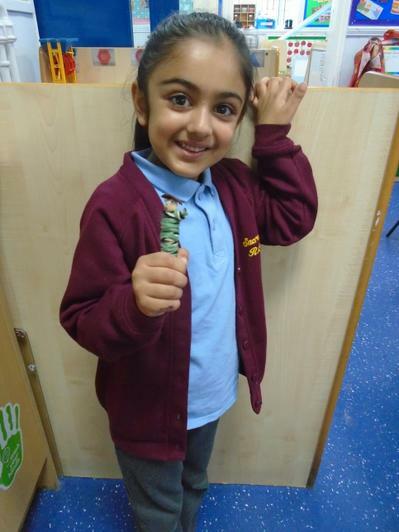 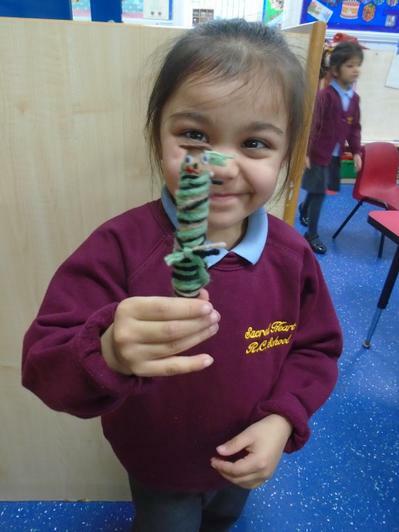 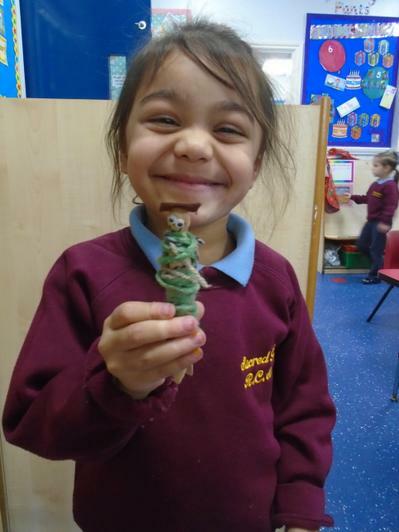 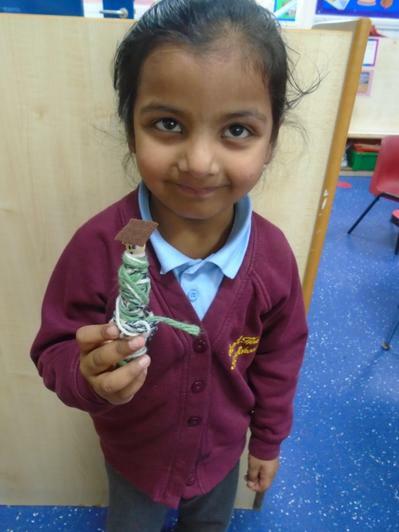 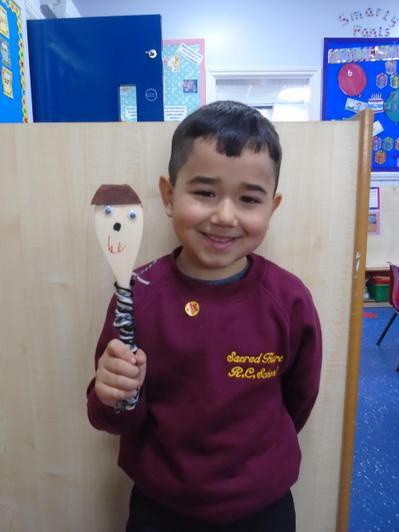 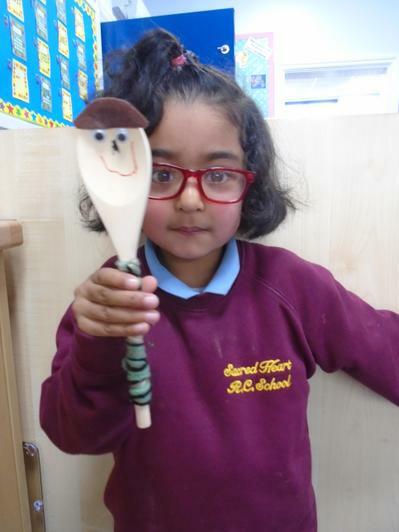 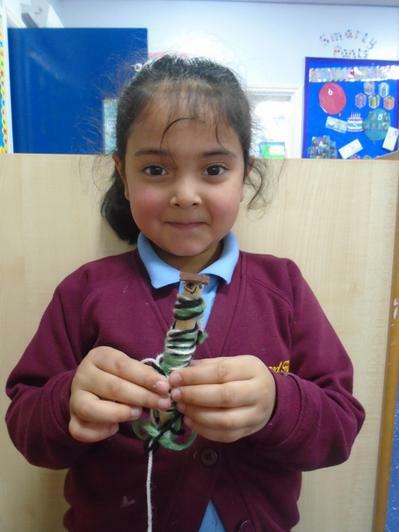 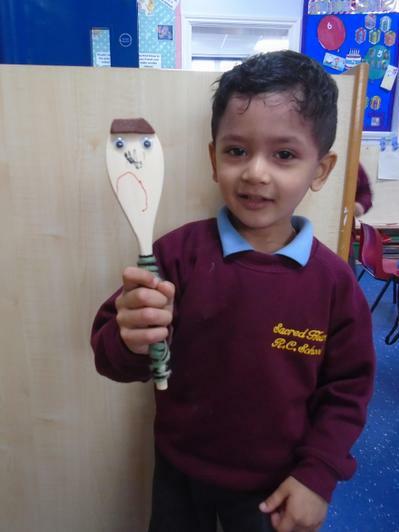 We made soldiers using wooden pegs and wooden spoons. 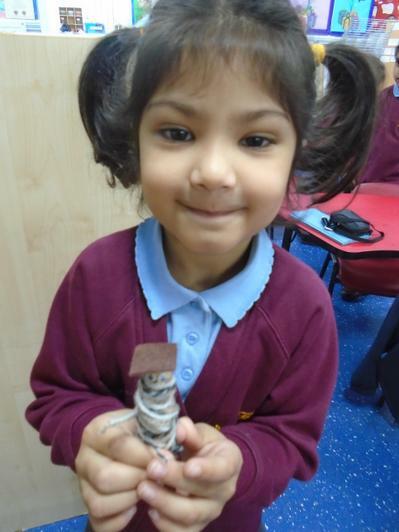 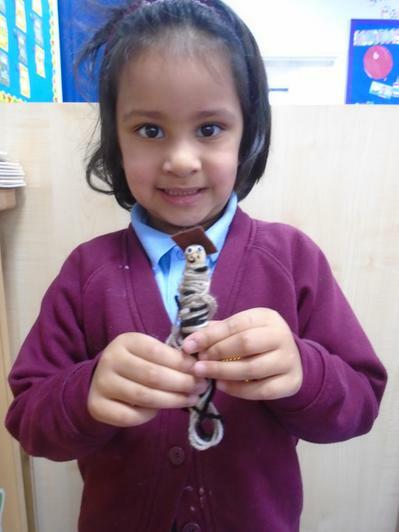 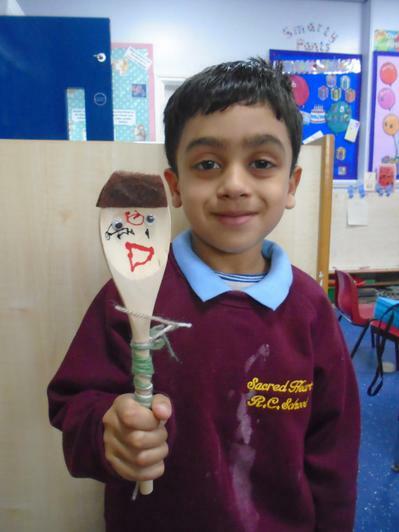 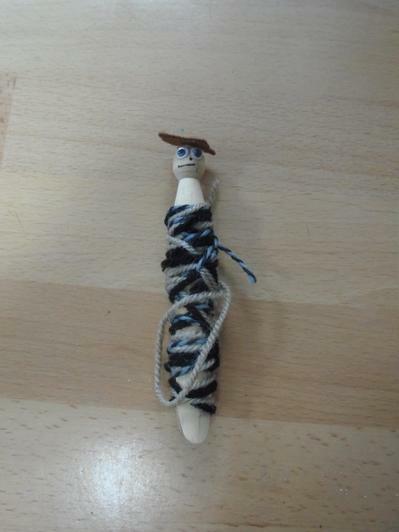 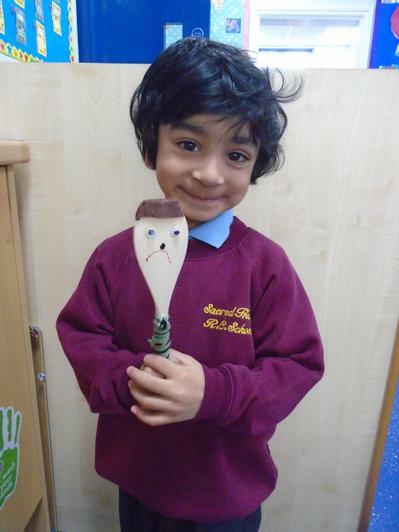 We wrapped wool around our peg or spoon and then added a face using googly eyes and felt hats. 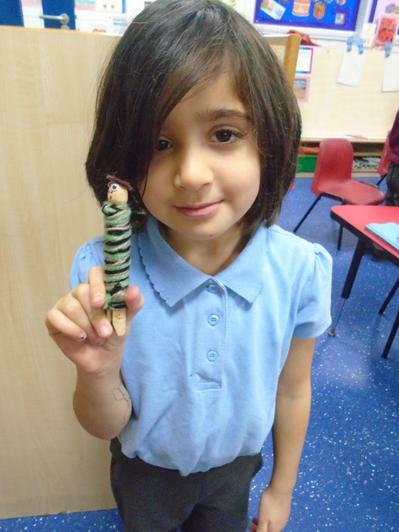 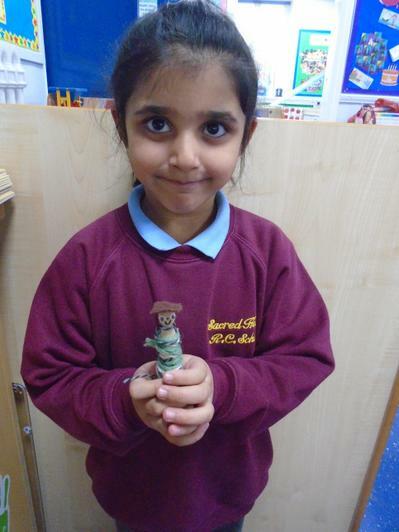 We made these to help us understand what a soldier is and what their role was. 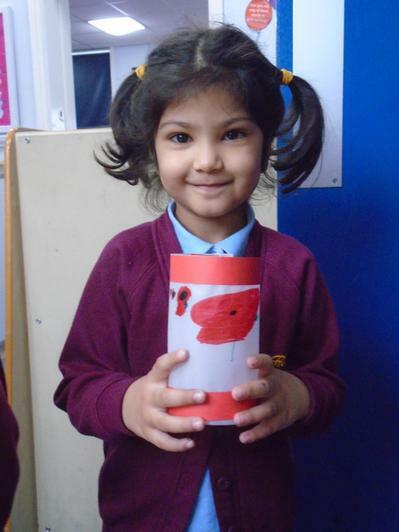 We looked carefully at the poppy and talked about why it is important. 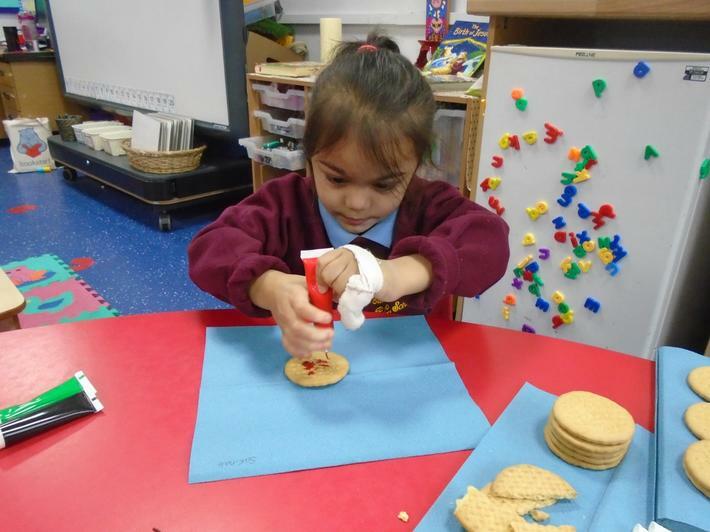 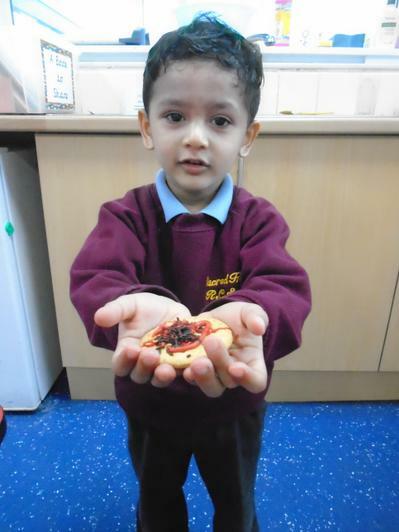 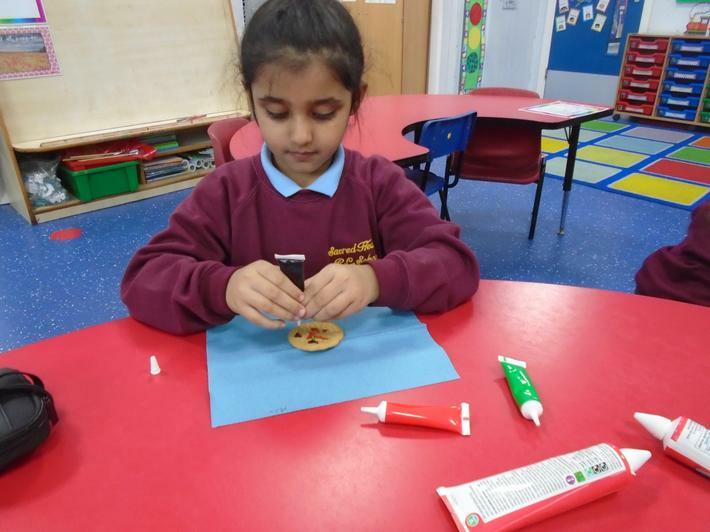 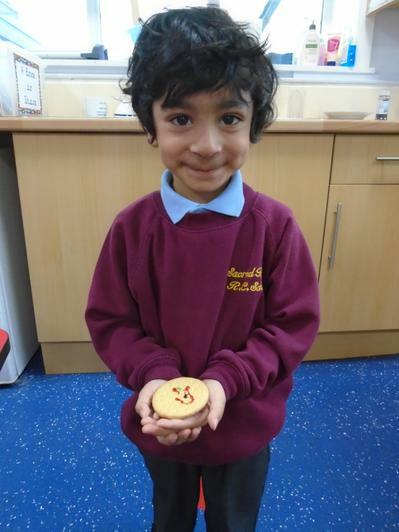 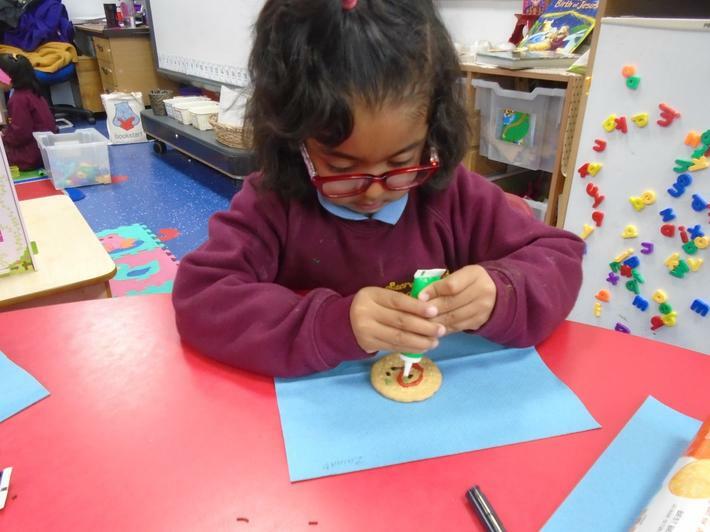 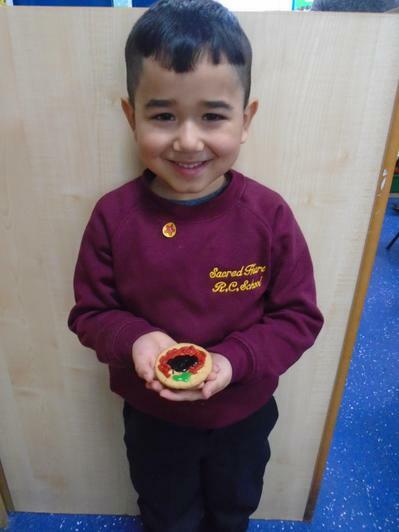 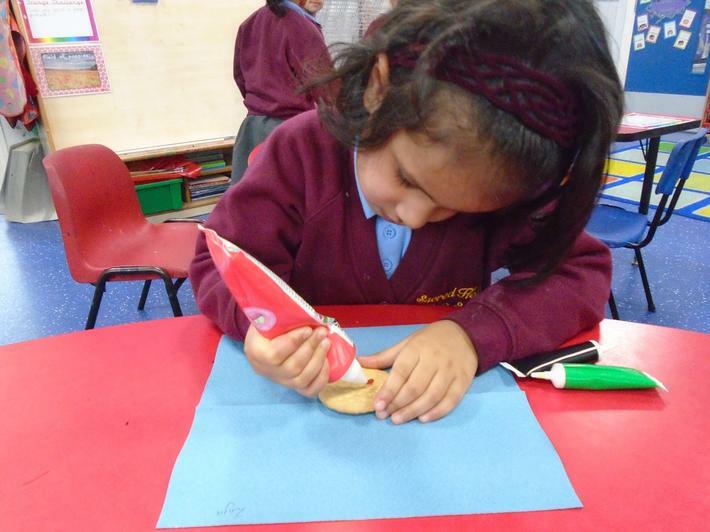 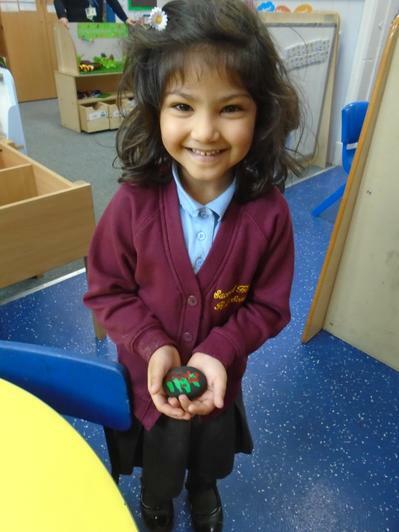 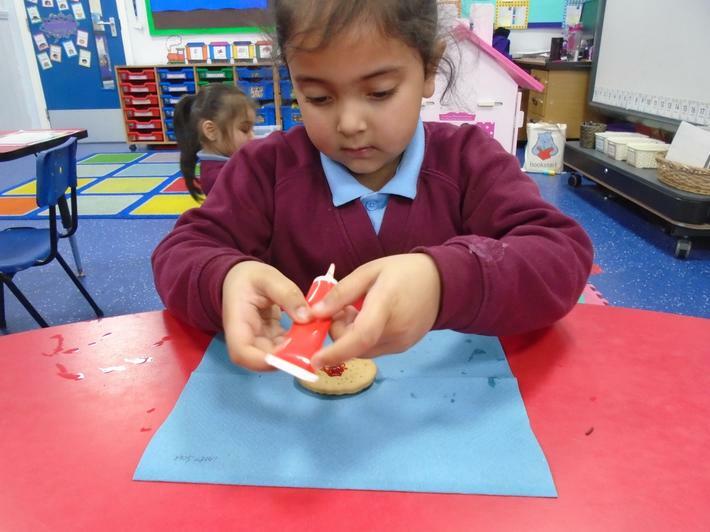 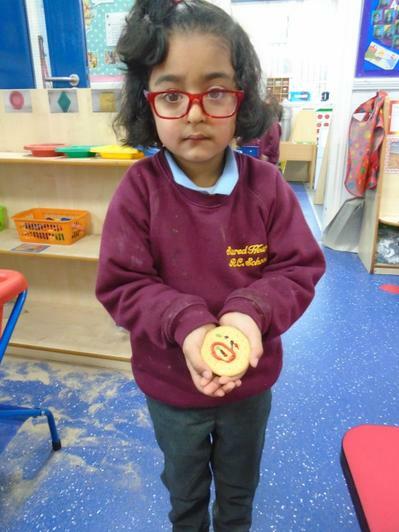 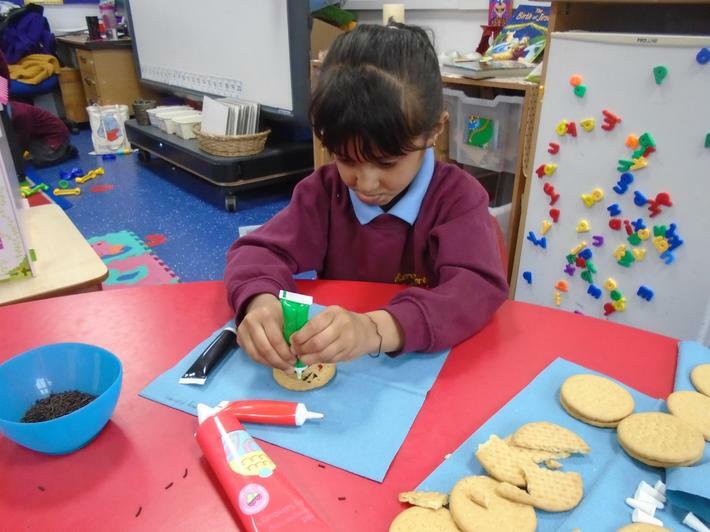 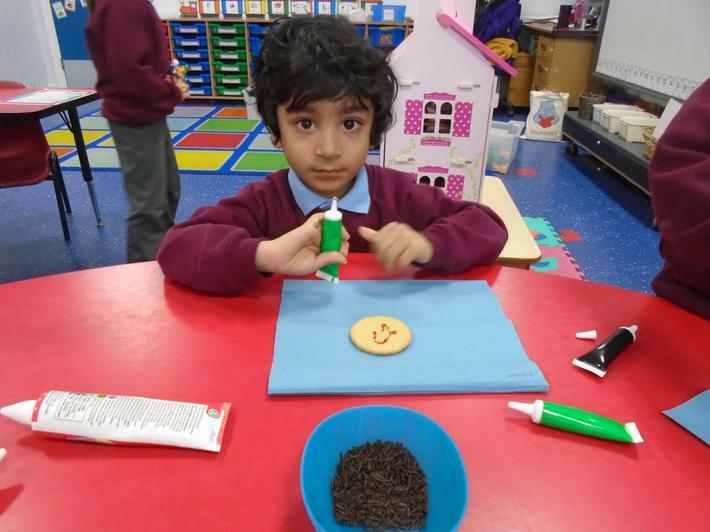 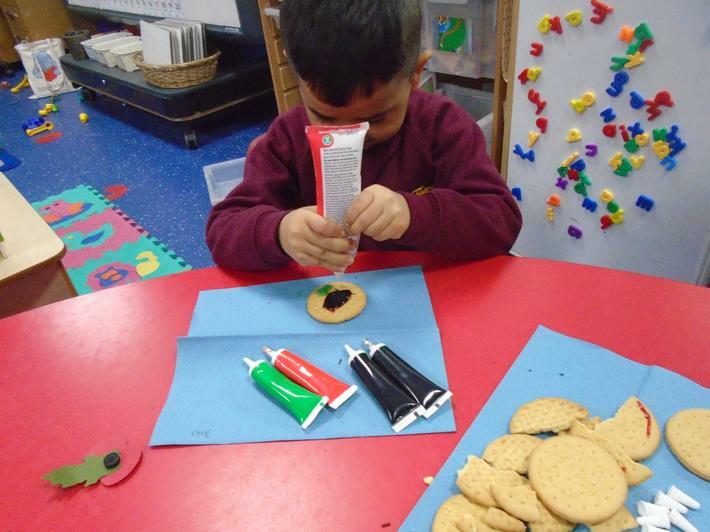 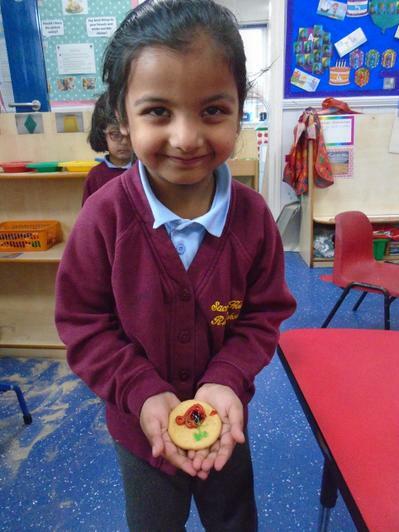 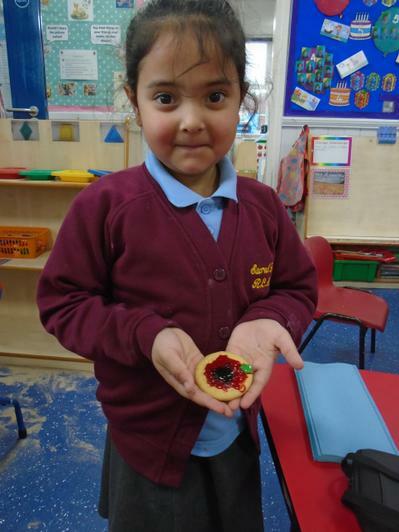 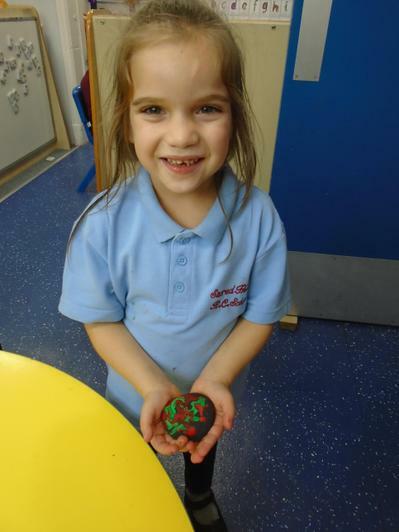 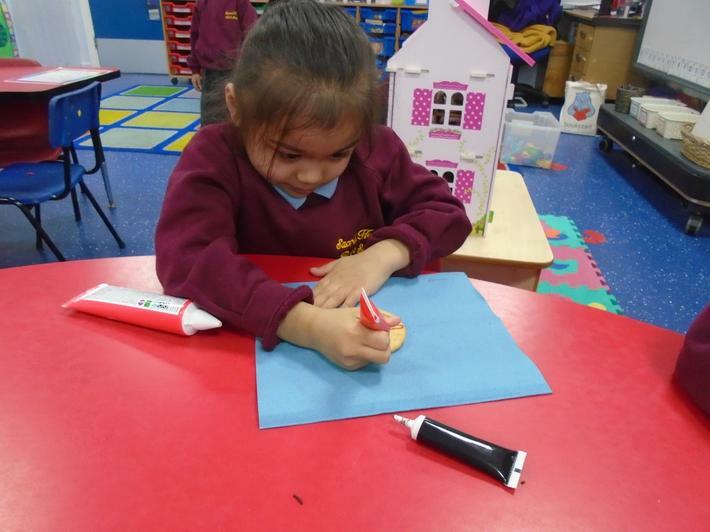 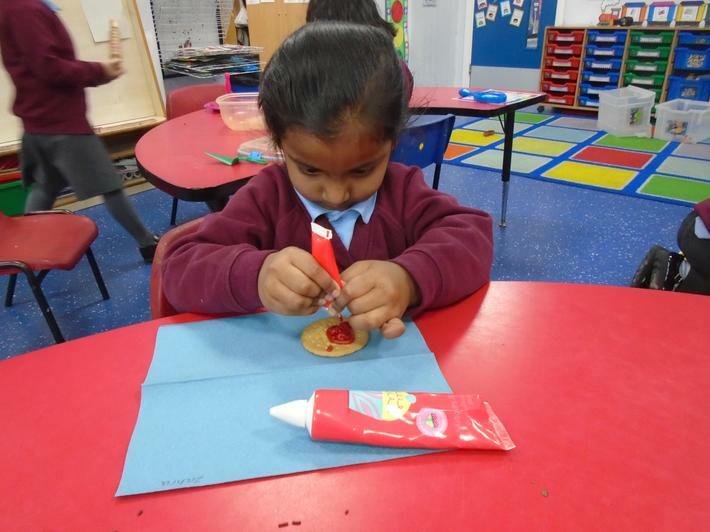 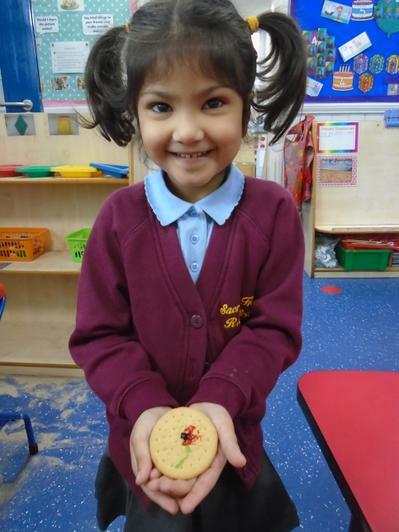 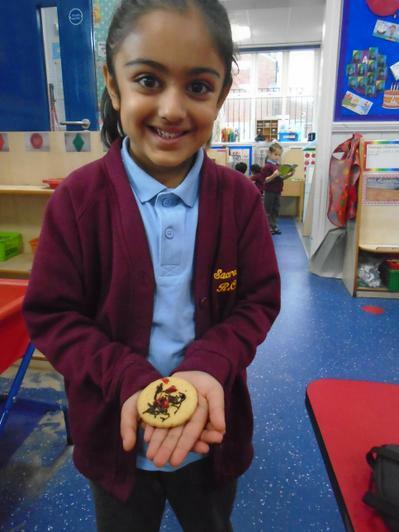 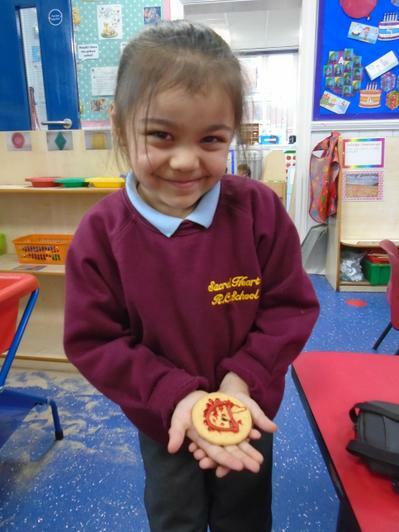 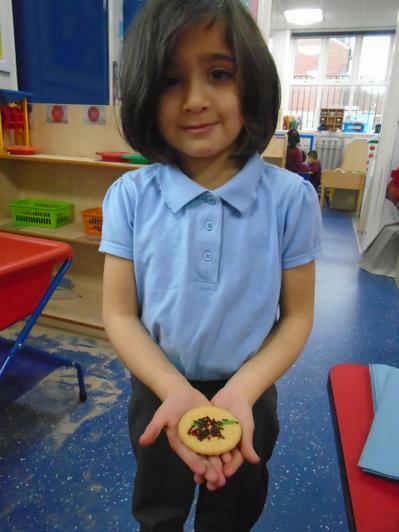 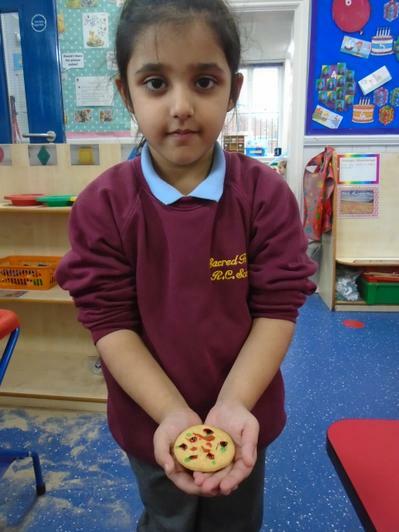 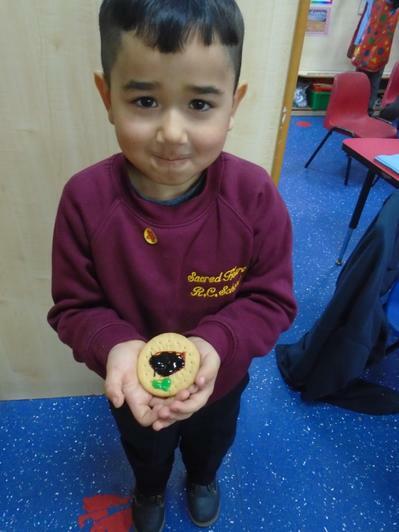 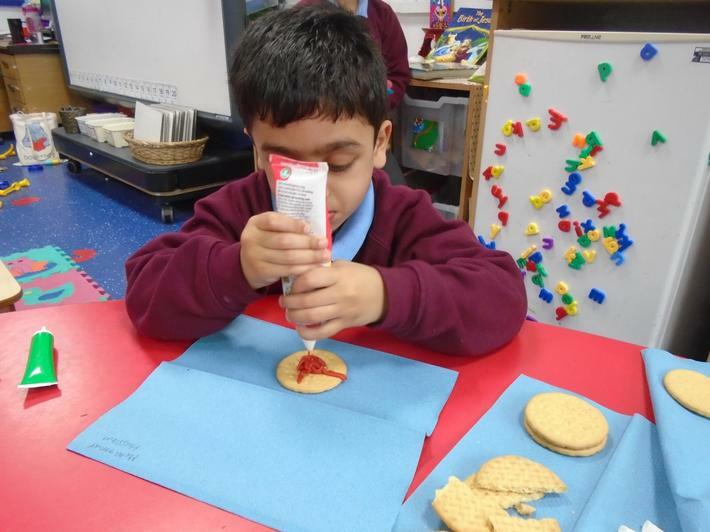 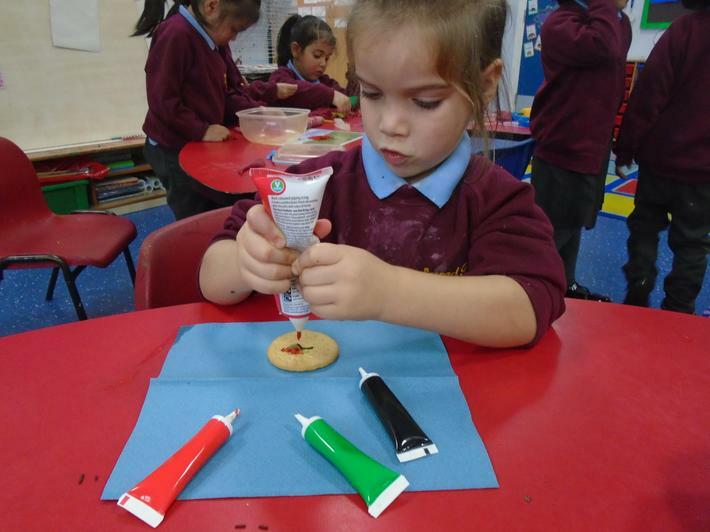 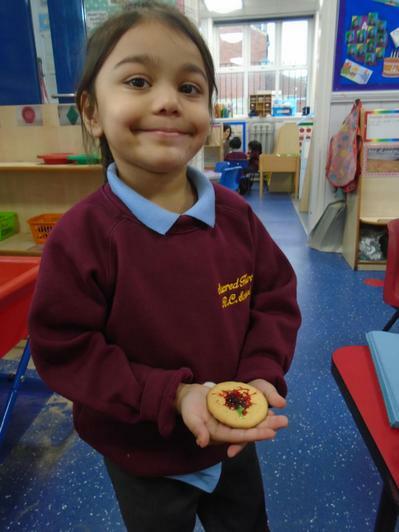 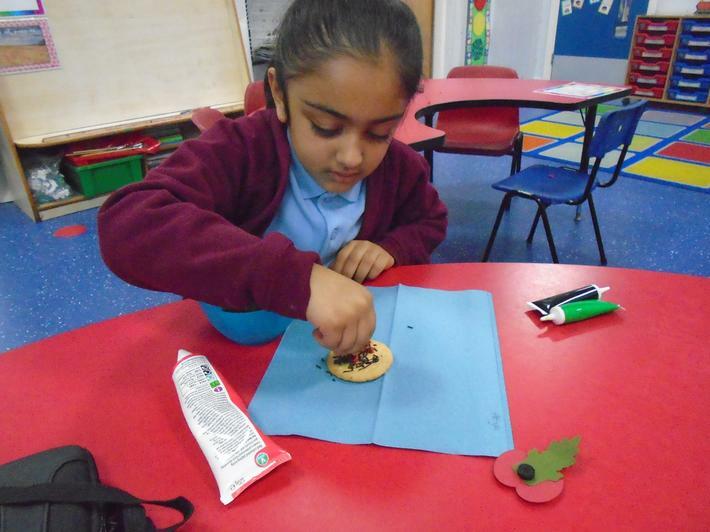 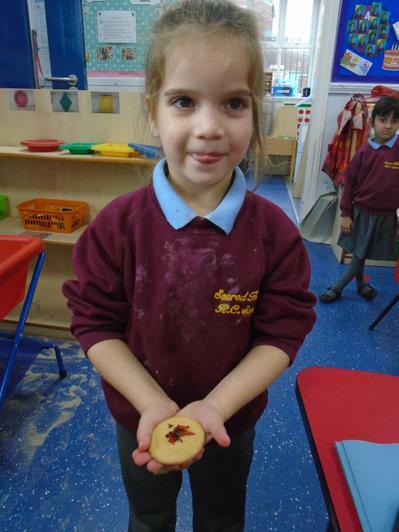 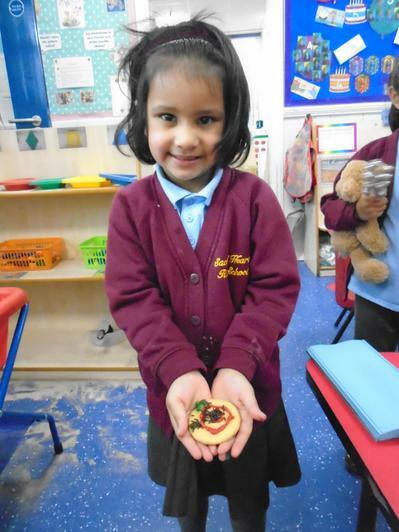 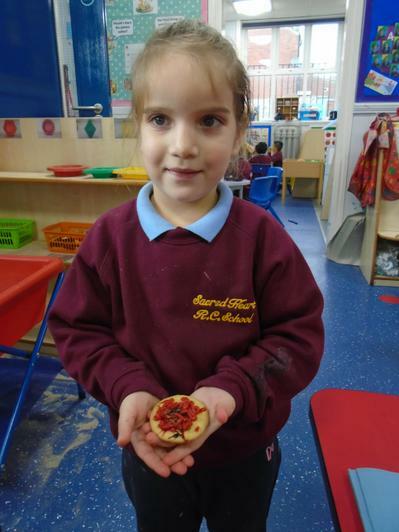 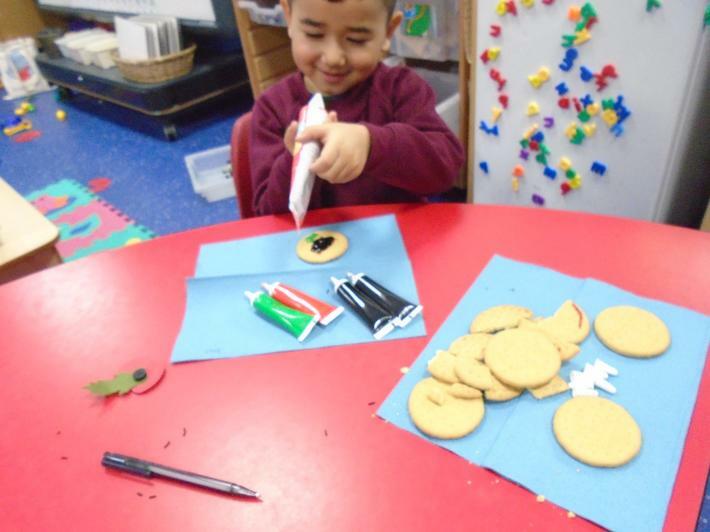 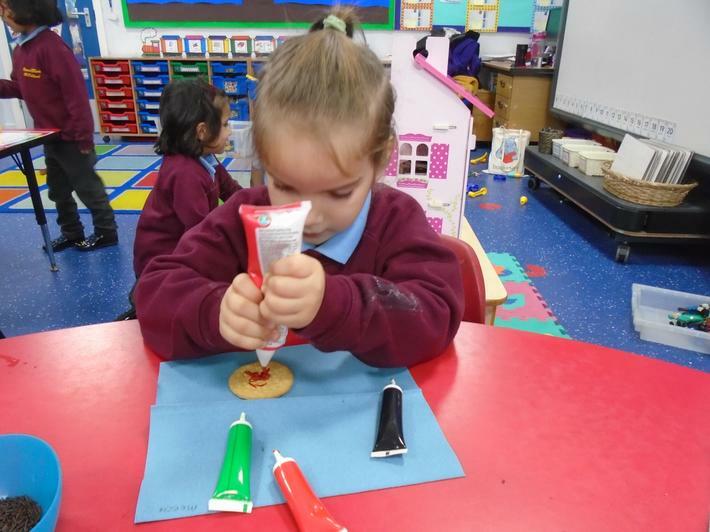 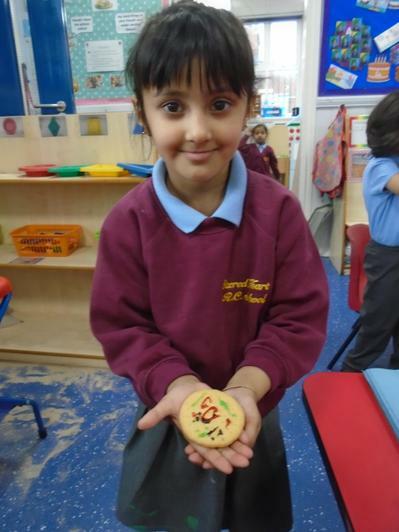 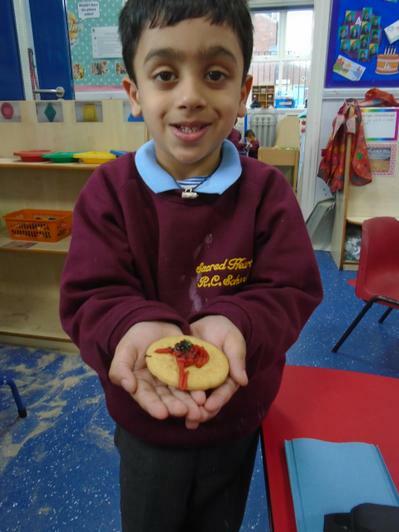 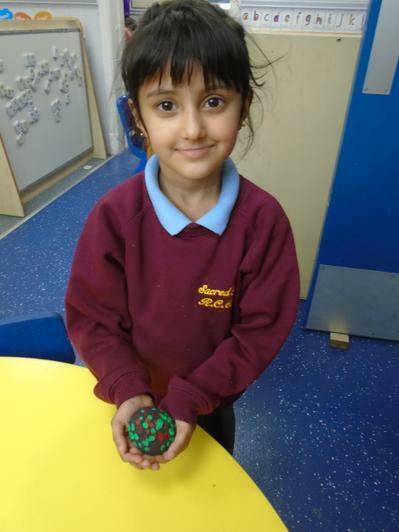 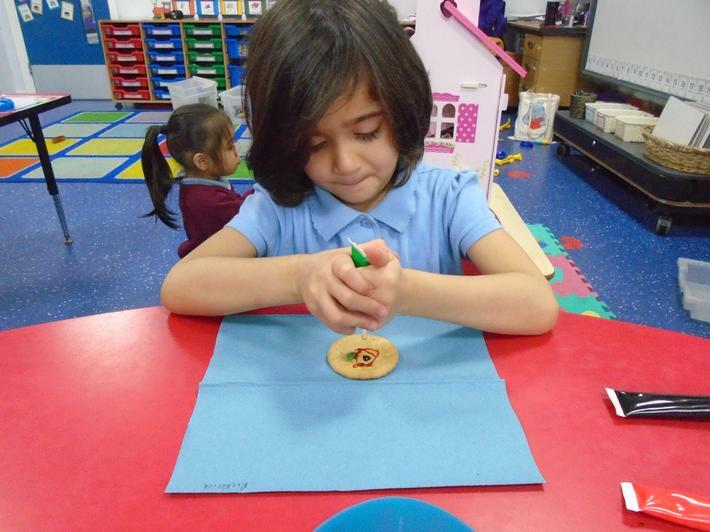 We then enjoyed using the different decorations to design our own poppy on our biscuit.